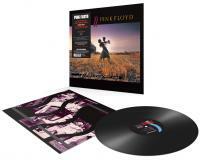 On 17th November 2017, Pink Floyd Records will reissue A Collection Of Great Dance Songs and Delicate Sound Of Thunder on vinyl, the first time they have been available on this format for well over twenty years. 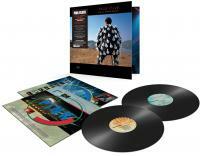 These are the band's first 'best of' and live albums to be remastered on vinyl. Over the past two years, Pink Floyd Records has released the entire studio collection as stereo remastered versions on heavyweight 180g vinyl. All are mastered from the original analogue studio tapes with album artwork faithfully reproduced. The same applies to these best of and live albums. Originally released in 1981, A Collection Of Great Dance Songs was certified Double Platinum by the RIAA in 2001. The compilation album contains alternative mixes and versions of the band's classics including Shine On You Crazy Diamond, Another Brick In The Wall (Part 2) and Money. Recorded live over five nights in August 1988 at the Nassau Coliseum, Long Island, NY, Delicate Sound Of Thunder became infamous for being the first rock album to be played in outer space. With many of you out there committed vinyl enthusiasts, we're sure that these editions will be very popular. Thus, below we list dedicated ordering links for both albums on vinyl - using these will give a small but vital contribution to the running costs of Brain Damage, without costing you a penny/cent extra, and we really appreciate it! NOTE: Some of the stores above are yet to list the releases as available to buy but the pages are there for when they do. If your chosen store doesn't have it yet, please keep trying, or consider an alternate store - Amazon ship vinyl worldwide.